Tulum is an idyllic beach town located along the Maya Riviera in the Yucatán peninsula. 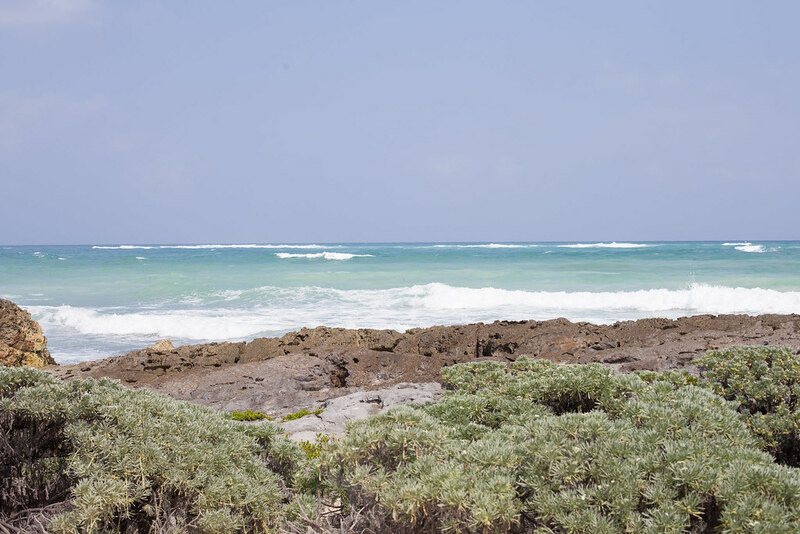 The sea is a shade of blue you’ve never seen before, a vivid turquoise, cloudy as limestone yet bright as aquamarine. Fashionable hippies float around in maxi skirts and floppy hats and lounge on seaside beds with a detox juice in hand. 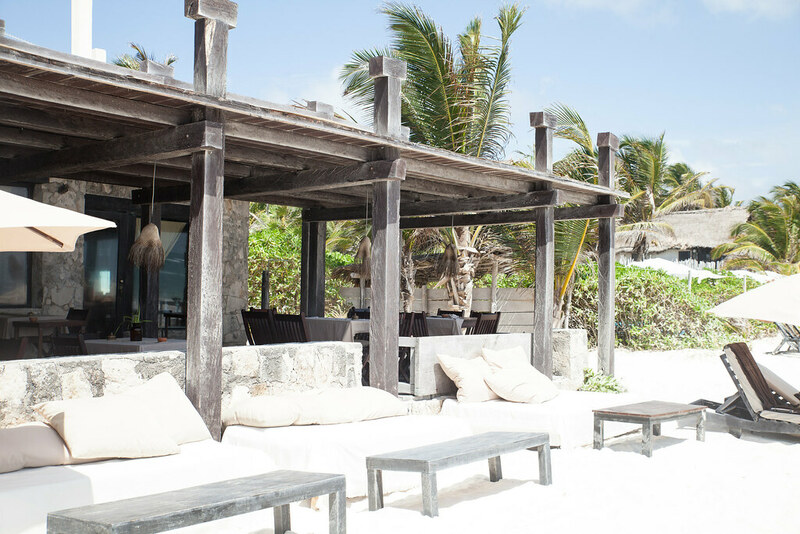 It’s little wonder then, that Tulum has been dubbed Mexico’s chic hippie town. It’s a bohemian paradise of vegan eateries, green juices, massages on the beach and yoga with sand underfoot making it a dream destination for those inspired by a healthy way of living. Here is a guide to this beautiful corner of the earth featuring what to do, where to eat and which cenotes to swim in. 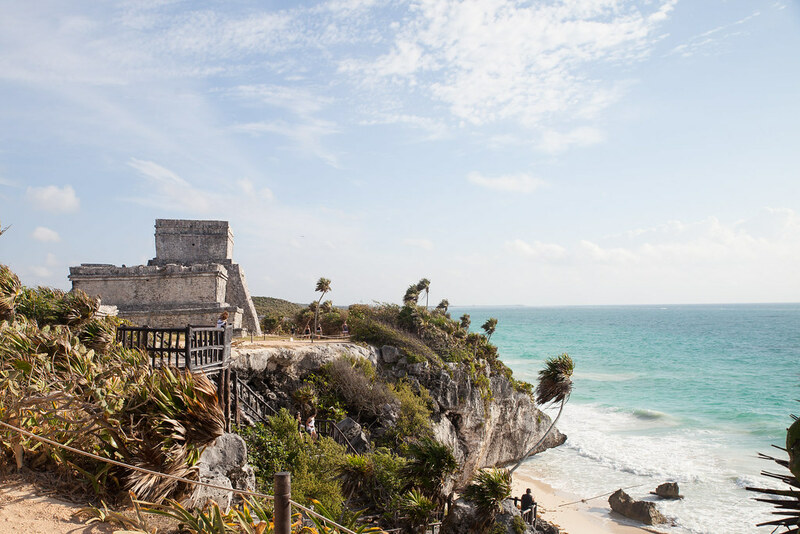 A visit to Tulum is incomplete without visiting the ancient Tulum ruins. Not to mention, the archeological grounds also offer dynamite views of the rugged coastline and crashing waves below. Chichén Itzá is located a 2 hour drive from Tulum, however you simply cannot come to the Yucatán peninsula and not visit this fascinating World Heritage site. These spectacular Mayan ruins are proof of an ancient city that was once at the heart of the Maya empire in Central America. 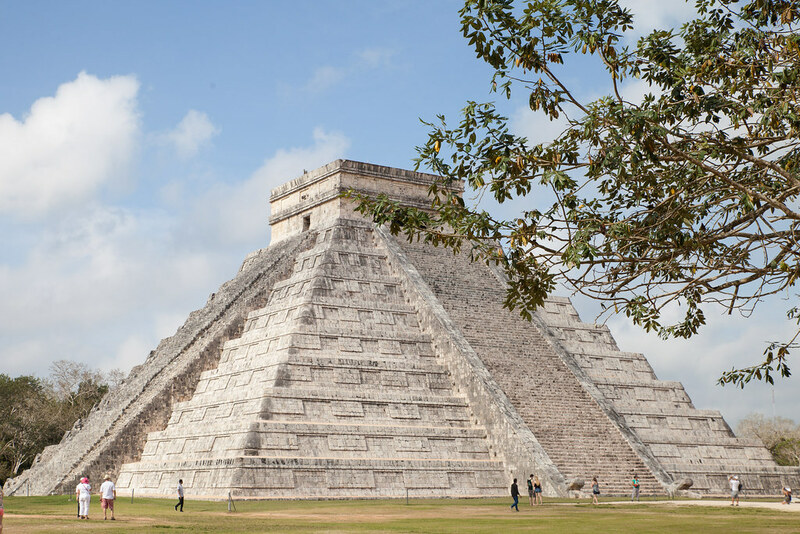 Chichén Itzá now holds the title of one of the New Seven Wonders of the World due to the advanced astronomical skills and genius of the Mayan civilization. Nicte-Ha is a beautiful open-air cenote with the clearest green waters covered with lily pads on the surface. Cenote Dos Ojos is made up of two caves with the clearest blue waters and is said to be the best cenote for scuba diving. It’s an eerie but magical experience swimming deeper between the caverns with birds flying overhead and fish swimming around you. 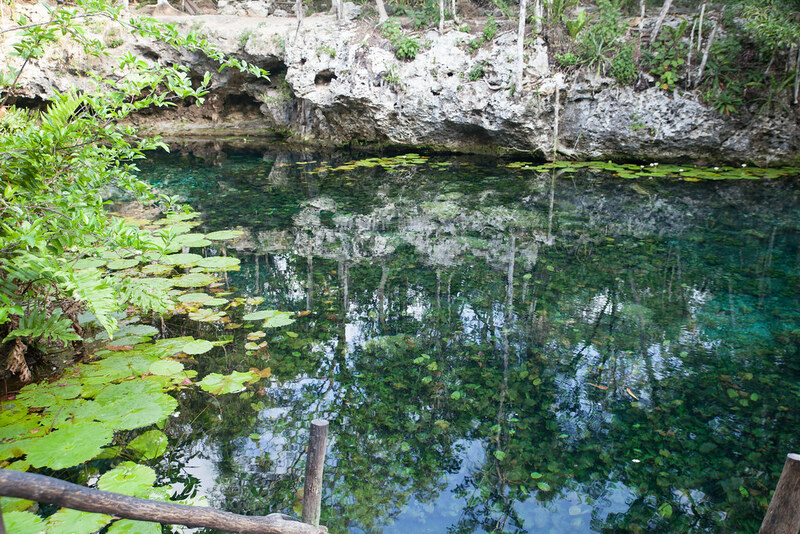 Ik Kil Cenote is an open-air natural pool with vines and greenery bordering the opening. Make sure you jump off the limestone carved platforms into the deep water below. Coqui Coqui is located on the quiet end of the beach and is a wonderful spot for relaxing on one of the beach beds with a refreshing mojito. It’s also home to a wonderful spa where you can indulge in a heavenly cocoa scrub and body wrap. Don’t miss the perfume shop selling bottles of their handmade scents, candles and a selection of items of clothing. The best way to get around Tulum is by bike. The distance between the town and the beach is longer than most people anticipate and would take a while to walk, especially under the unforgiving heat. With the sea breeze in your hair cycling is a much cooler way of travelling and makes exploring a lot more fun. 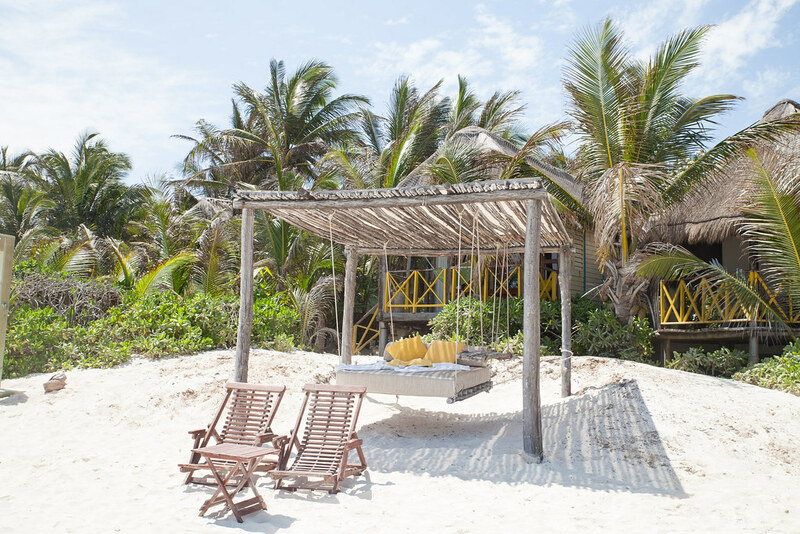 The entire length of Tulum beach is dotted with comfy beach beds which provide the perfect base for dipping in and out of the water and sunbathing. Many of the beds are an extension of the restaurants and bars and are to be used by clients to enjoy their drink, however some form part of hotels and are reserved for hotel guests only. Papaya beach club is the best spot in town for a laidback festival vibe with pumping music and live DJ sets. 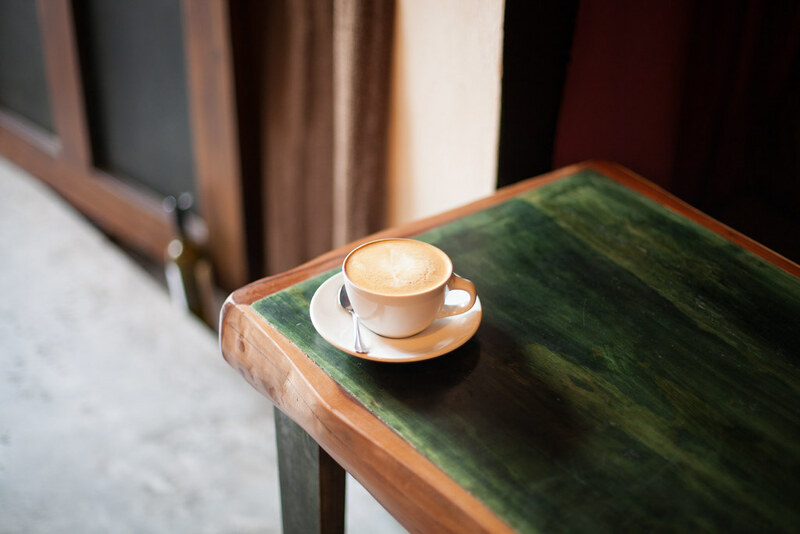 When in need of a caffeine fix to cure the hangover of a mescal infused late night in Tulum, head straight to Ki’bok café. Inside you’ll find a friendly face and a flawless flat white to help you through the morning. Gitano is a fabulous dinner spot. Dimly lit lanterns and chandeliers hang from trees and Aztec print cushions decorate the dark wooden furniture turning the space into a romantic den where guests dine under the starlit sky. Originally opened as a cocktail bar, they offer a lethal selection of mescal cocktails such as the fiery Jungle Fever made with mescal, chili and coriander or the classic Mescal Mule. 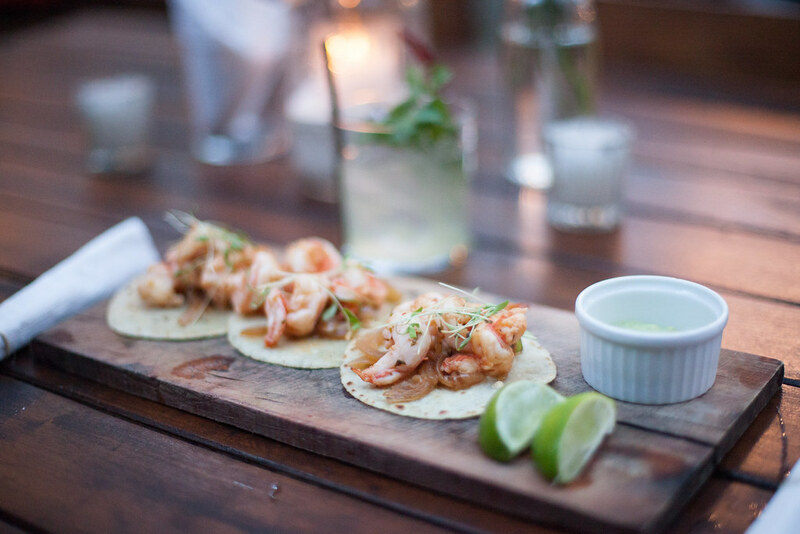 For dinner order a selection of smaller plates such as the pil-pil shrimp tacos, ceviche and grilled cauliflower steak. 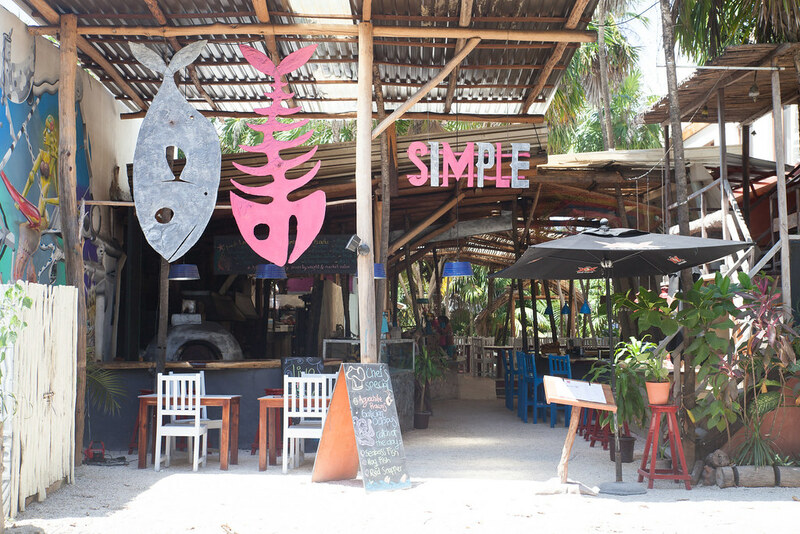 Simple has a rustic charm; it’s a restaurant of wooden beams, palm trees, relaxed vibes and eclectic music. Fish dishes are the specialty here with wahoo, seabass and lobster on the menu, but always order the catch of the day and a couple of salsas to accompany the dish such as mango and mescal or garlic and chili. Now I know most people don’t come to Mexico for Italian cuisine but you’d be cheating yourself if you didn’t make an exception for Posada Margherita where the food served inside is better than most restaurants in Italy. The pasta is made fresh every day and the freshly pressed juice menu rivals some of the best juice bars. The décor is the epitome of shabby chic, with a soft palette of blues and whites mirroring the colours of the ocean in view. 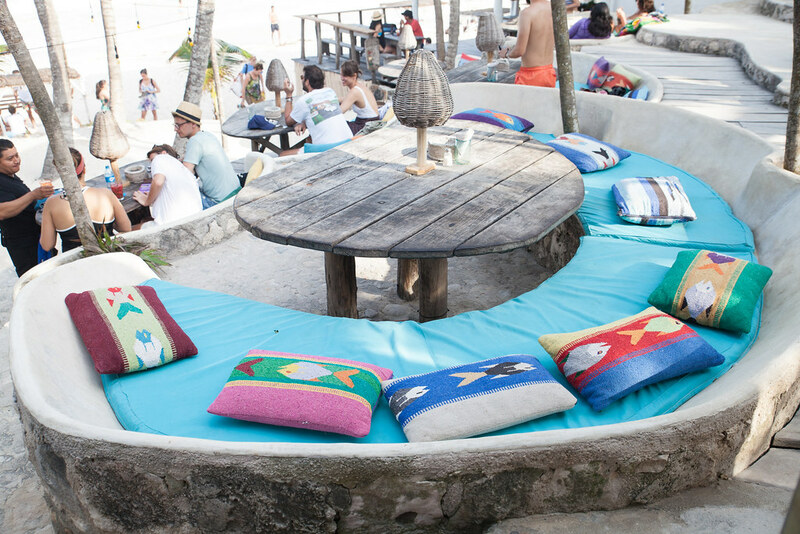 It’s located directly on the beachfront and has bed loungers on the sand for guests to relax with a drink after eating. Hartwood has become a legendary local restaurant where getting a reservation is no easy feat. If you’re fortunate enough to eat at this open-air restaurant under the star-studded sky, you’re in for an incredible feast of traditional Mayan cuisine with flair. 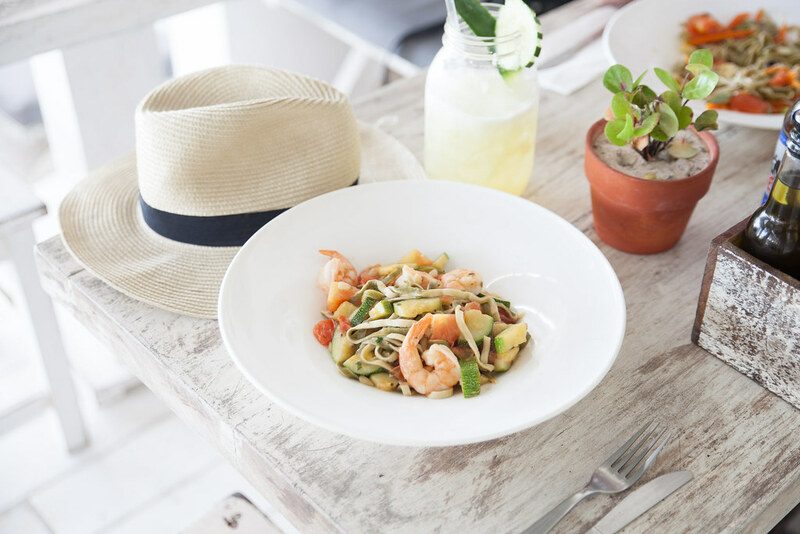 In its ethos to return to humble cooking, fruit and vegetables are sourced from local markets and fish is caught daily from the Caribbean sea and cooked on an open fire. For hearty no frills Mexican food with a view, Zamas + Que Fresco! is an excellent lunch choice. 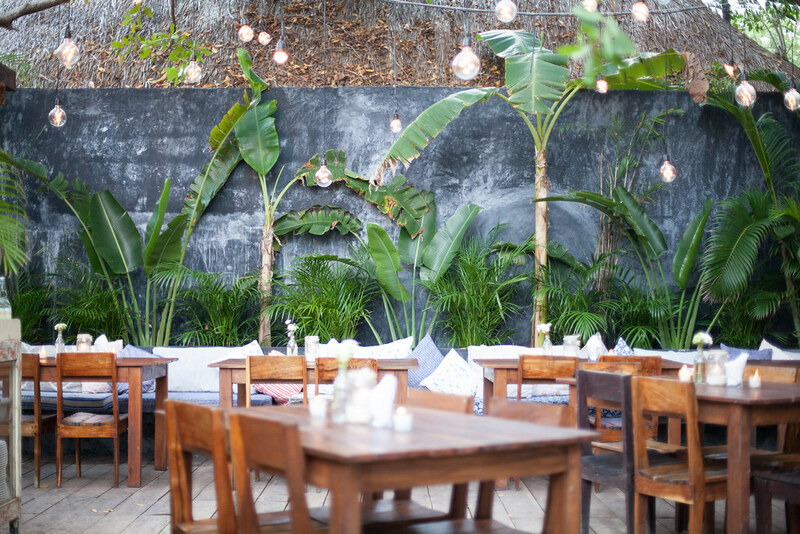 It’s laidback vibe, multi-coloured tables and views of the crashing waves are what make this place a favourite among locals. A great spot to come for a sunset drink. Looks so beautiful..I’ve always wanted to visit a relaxing and laid-back sort of place like that!